In Part 2, we showed how to build plugins for Spigot servers in Eclipse and how to test them locally in your Docker installation. Now we’re ready for the next big step—taking the Spigot server that you just developed and deploying it into the cloud in IBM Cloud. To help you understand how to do that, we need to start with a description of how Docker files are run inside IBM Cloud—and that requires a bit of explanation about the technology that the IBM Cloud Kubernetes Service is built on: Kubernetes. In Parts 1 and 2, you saw how Docker provides an environment for running containers. But sometimes (in fact, often), lone containers aren’t enough. When you are implementing more complex applications that are made up of multiple parts—such as web servers, application servers, and databases—you need a way to specify how these parts are related to each other. What’s more, you need a way to deploy them together as a comprehensive application. The container industry calls this orchestration—the ability to coordinate the deployment and management of several containers together as a unified whole. What’s more, there are other issues around running containers as part of a production application that we have not considered. These include questions of scaling (how many copies of a particular server should you run), load balancing, networking, and more. Kubernetes addresses all of these issues and more. In order to understand just a bit of what it can do, we need to define some of the terms used associated with Kubernetes. The first Kubernetes concept we need to introduce is the idea of a cluster. A cluster in Kubernetes is a set of machines, or virtual machines, that are all running different parts of Kubernetes. The cluster is split up into a master node that handles the administration of the cluster, and one or more worker nodes that actually run your applications. All of these different nodes run Docker; remember, this is a solution for running Docker across more than one machine! The reason we are doing all of this is because we want to create pods. A pod is a set of one or more containers that are logically connected that you want to run together. (Why is it called a “pod?” A group of whales is referred to as a pod—Docker’s logo images is a whale. All of the whales in a Pod stay together and swim in the same direction to the same destination.) For our purposes, the containers in the pod are connected together through things like a shared IP address and even shared storage. The last concept you should know before we dive into the code is a deployment. Think of a deployment as a file that describes how to create pods and how to link those pods to services and ReplicaSets, and set their state. A service is a set of one or more pods that form a cohesive logical unit. A service definition decouples what the client of a particular service (like a Minecraft client!) needs to know from the implementation details of how the pods are put together. Finally, a ReplicaSet is the mechanism that’s used by Kubernetes to determine how many copies (or replicas) of a pod to run, and what to do if one or more of them fail. So if that’s what Kubernetes gives you, then how do you use it? The first step is to create a new Kubernetes cluster. Now, Kubernetes itself can run on your local desktop (see minikube), but that’s not the approach we’re after here. We want to run our Docker containers in Kubernetes in the IBM Cloud, and to do that we need to use the services provided by the IBM Cloud Kubernetes Service. The IBM Cloud Kubernetes Service allows you to create your own Kubernetes clusters within IBM Cloud. Now, think back to how we defined the parts of a Kubernetes cluster. A cluster consists of a master node and one or more worker nodes. In the IBM Cloud Kubernetes Service, you can create two types of clusters, which differ in how many worker nodes they can have, an in how you are billed for those nodes. Every account is allowed to create one free lite cluster in the IBM Cloud Kubernetes Service. A lite cluster is a pre-sized, single-worker cluster that is suitable for development and for simple experiments like we’re doing with Minecraft. If you want to do more complex development of multi-host applications—or more importantly, deploy applications that are resilient and able to survive the loss of one or more worker nodes—then you need to deploy a standard cluster in the IBM Cloud Kubernetes Service. Doing so is beyond the scope of this tutorial, but it’s something that you should definitely learn more about by reading the documentation on the subject. In any case, IBM handles the management part by creating the master node the same way in each case. That becomes important a little later in this tutorial. Let’s begin by creating our free lite cluster. Now, this set of instructions assumes that you followed the installation instructions for the IBM Cloud command-line tools and the IBM Cloud Kubernetes Service plugin that we referenced in Part 1 of this series. It also assumes that you haven’t already created your free Kubernetes lite cluster for development. The first step is to log in to IBM Cloud. You’ll be prompted for your IBM Cloud user ID and password. If you’re using a federated ID (which is common if you have a corporate account for IBM Cloud or if you are an IBM employee), then follow the steps for using a one-time login here. The final step creates your cluster. Since we are providing it with just one option (–name), that tells IBM Cloud to create a lite cluster. You can name the cluster anything you like, but we’ll use the name “Minecraft” for the rest of this series. If the “State” result is anything other than “normal” (for instance, “pending”), then you should wait a few minutes and issue the command again. Once your cluster is in “normal” state, you can move on to the next step, which is to configure your cluster and set up kubectl (the command-line interface for managing Kubernetes clusters) on your local machine to be able to access the cluster. The configuration for Minecraft was downloaded successfully. Export environment variables to start using Kubernetes. —then you executed the configuration correctly. If on the other hand, you see an error message, then try copying and re-exporting the environment variable. As you saw in Part 1, when you installed the Kubernetes cluster service plugin, the first command installs the container-registry plugin and sets the registry to be the default IBM Cloud registry. The second command logs you into the container registry and allows you to use the space that’s set aside in your plan. In this case, you will be using the “free” plan for the container registry. However, it does have one disadvantage: It is very limited in how much disk space is allocated for each user—you can only store 512MB in the cloud, which is just big enough to store a single small image built on the Ubuntu image. In fact, you will have to make some changes to your Dockerfile in order to reduce the size of the image to fit. We will cover what those changes are and how that works in a later section. For now, though, the first thing you need to do with the container registry plugin is to create a namespace. A namespace is like a folder for images. In this case, you’ll create one that has the same name as your IBM Cloud user name. So if your login to IBM Cloud is “yourname@yourcompany.com,” then the name you will use should be just “yourname.” Substituting your username in the angle brackets below, execute the following two commands; the first creates the namespace, while the second lists out the set of namespaces and allows you to verify that it was created successfully. Now that you have validated that your namespace was created correctly, you need to build a local image with the right name or “tag.” However, before we do that let’s revisit the modifications we had to make to the Dockerfile in order to reduce its size. You’re now ready to move on to building and pushing your first example to IBM Cloud. If you haven’t already done so, change directories to the directory spigot-plugin-bluemix. The contents of the file should match what you see in the listing below. You can also compare it to the Dockerfiles from Part 2 for reference. The first thing you’ll notice in the file is that we’ve grouped together many of the formerly separate RUN commands in the Dockerfile into one very long RUN command. We’ve done this through the standard UNIX shell script trick of concatenating commands together with the && operator. The second thing you’ll see is that, unlike in Part 2, after we build the spigot jar file we add commands to delete a number of directories with the recursive remove (rm –r) command. Finally, you’ll see that we’ve also removed the git and wget tools that we installed at the beginning of the installation (they were needed by BuildTools.jar). All of this is done to save space. Combining commands reduces the number of layers in the Docker image. Think of a layer as being an entire virtual file system that is invariant; you can build another layer on top of it, but you can’t change the contents of it once it is built. A useful analogy might be to the way that a version of source code in a version control system is stored—once you commit a change it’s there forever, but you can always make another change on top of it. With Docker, once a layer is added to the image, any disk space that’s used by that layer is taken up once and for all. Every Dockerfile command creates a new layer, as you’ve probably noticed by watching the output of the Docker build command. So even if you tried to delete the working directories that are used by BuildTools.jar (such as CraftBukkit, Bukkit, and Spigot), you wouldn’t save any disk space if you tried to delete those directories in a later layer. Thus, combining the RUN commands into one long command that includes setup, execution, and cleanup is a common Docker best practice for reducing image size. Now that you’ve seen your new Dockerfile, you’re ready to use it. You can do this by executing a familiar command from the last couple of tutorials, but this time one that uses a longer tag. Note that you’ll preface the tag with the address of the IBM Cloud registry, then add the namespace, and finally the image name that follows the convention we adopted in the previous tutorials. Execute this command at the command line to proceed—and as always, make sure you don’t forget the period (“.”) at the end! sudo docker build ‑t registry.ng.bluemix.net/<yourname>/spigot‑plugin‑bluemix . The most noteworthy thing about this file is that there are two sections, separated by the dashed line “---.” The first section describes the deployment itself, which creates a single pod (as shown by replicas: 1) that consists of just our spigot-plugin-bluemix image. The second section describes a service that you are creating to expose the pod to the outside world. In this case, you’re using the absolute simplest type of exposure, called a NodePort. A NodePort is a way of routing requests to a specific port, which in this case is port 25565 (the port that’s exposed by the Docker image). In the meantime, though, you’re finally ready to deploy your first Kubernetes service! Then, you can try to create the pod and service again by re-issuing the kubectl create command, as above. As in the previous step, copy down the second PORT (the one after the colon; in this case 32225). 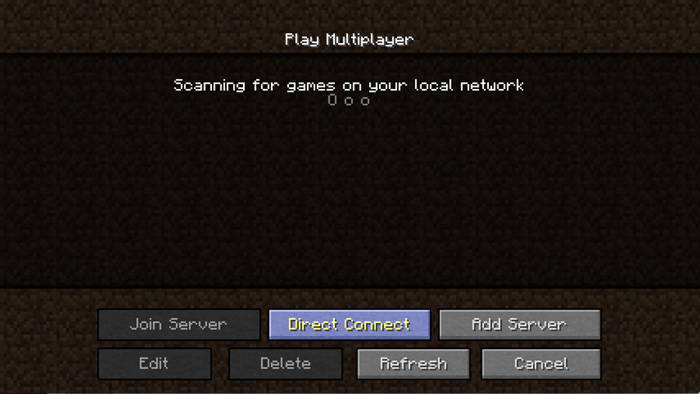 This is the combination of ip:port that you will now use inside the Minecraft client. 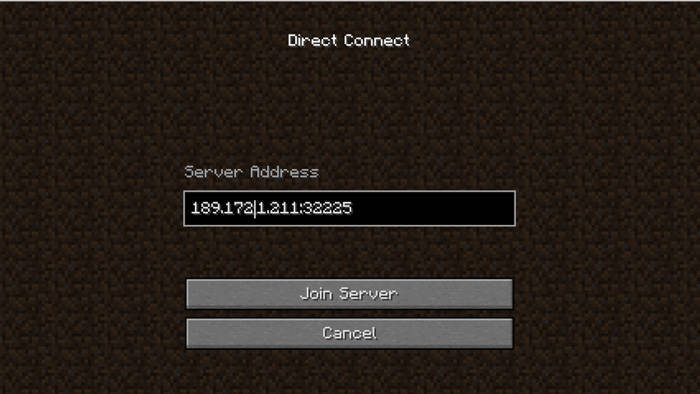 Once you have typed in the address and port, click on Join Server and you should be able to connect to the Minecraft server and see your virtual world! In this tutorial, you’ve learned the steps necessary to set up a lite Kubernetes cluster using the IBM Cloud Kubernetes Service, push a minimal Minecraft Spigot server to the IBM Container Registry, and then build a deployment that creates a single-instance Kubernetes pod and NodePort service that allows you to connect Minecraft clients to a server running on IBM Cloud. In Part 4, we will wrap things up by building a more complex plugin for Minecraft that uses the Watson Assistant service to allow you to talk with Watson and gather information about the diseases that are afflicting your Minecraft villagers. Until then, enjoy exploring the things that IBM Cloud gives you for managing and deploying Docker images! A series about Minecraft and IBM Cloud.